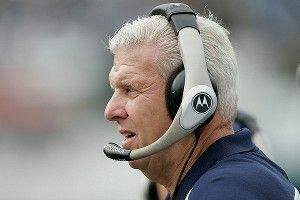 Bill Parcells said he would be a “hypocrite” if he didn’t consider the Saints’ offer to coach for a year in Sean Payton’s absence. He never really explained what he meant by “hypocrite,” but most experts agree that it has something to do with his hilarious yet poignant blog IllCoachAnywhere.joomla.com. LeBron James has a dislocated finger on his left hand, but said he will not miss any action, including Thursday’s game against the Mavericks. “Beat ’em last June, and we’ll beat ’em again tonight,” said James, who continues to believe that the Heat won the NBA Finals in 2011. NFL owners voted to approve two proposals that subject every turnover to video review, and extend the playoff overtime rules to regular season games. Bills quarterback Ryan Fitzpatrick told reporters he was thrilled with the replay development, noting that he’ll get a ton of free slow-mo exposure in 2012. In case you missed Reader’s Revenge on Monday, this week’s topic is: Worst (Most Painful) Rejection. Your stories can be about you, a friend, or someone you know, and anonymity is allowed. Send your emails in to TobaccoRdBlues@gmail.com, and the best ones will make the list on Monday.